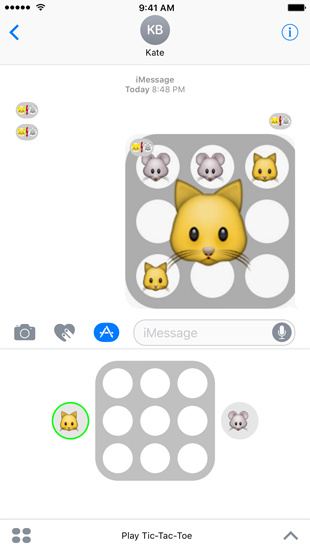 "Play Tic-Tac-Toe" is an iMessage App Extension so you can play it with your friends without leaving iMessage. iMessage is a trademark of Apple Inc., registered in the U.S. and other countries. Some app icon artwork is derived from Emoji one icons. Emoji provided free by http://emojione.com.